When thinking brings pleasure. When thinking brings pleasure? : What does a Teacher need to know about a Brain? 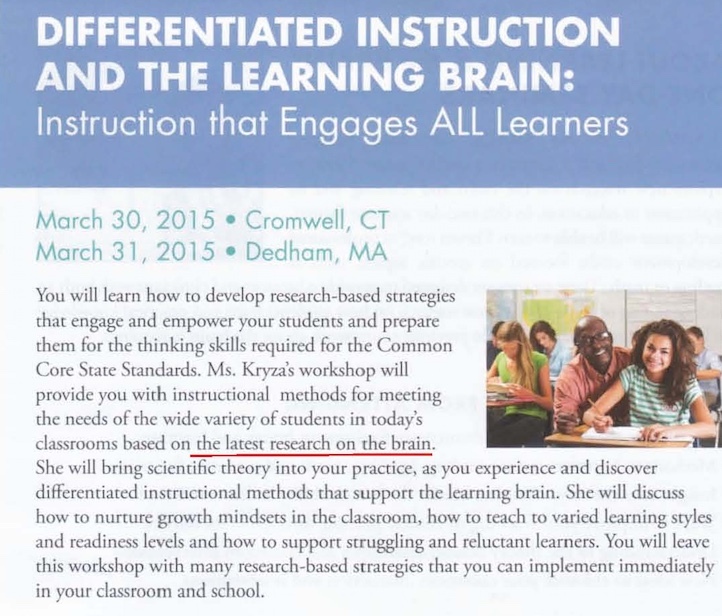 (The full flier is at : http://teachology.xyz/brain.html). It seems that nowadays in community of educators it has become fashionable to mention the latest research on the brain. 3. a brain also changes due to physical and mental exercises (similar to what any body-muscle does), in particular, a certain mental exercise affects certain regions in a brain (although, no one knows yet for sure which affects which). There is a name for this phenomenon, namely neuroplasticity (giving a phenomenon a name brings it into the field of science). There are services attracting people who want to develop their brain, like lumosity. For relatively young people, using lumosity is a sign of laziness; study a new language, or learning how to play a piano, or taking a physics course would bring a much stronger effect (assuming having a good teacher), PLUS (a big plus) a useful skill. However, there is a value in proving the fact that if you train a brain it is actually getting trained, and if you do not train the brain, it is not getting trained – exactly like having a gym membership and using or not using it: see http://cdn-hcp.lumosity.com/uploads/completed_research_post/original_paper_file/3/Ng-2012-ESCoNS.pdf. It also means that if the way students are taught reading, math, etc. would resemble cognitive training, we would not have a need in any additional cognitive intervention (assuming having a good teacher for every student). 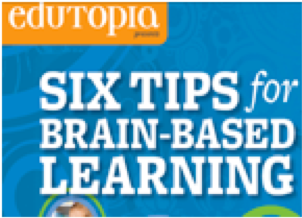 “Six Tips for Brain-Based Learning” Brain-Based Learning: a myth or a reality? Let’s use the ability other animals except us, humans, do not have – imagination. Of course, the situation described above is fictional (for now). Maybe in thirty or forty years new technologies (and their price) will allow teachers to observe live brain activities of students to adjust their teaching. But until then - theses days - almost nothing we learn from neurology about a brain is of any practical use for a teacher. All a teacher needs to know is relatively obvious. 2. A brain changes/develops in time AND when being used/exercised. That’s it. That’s sufficient for all teaching activates. A simple illustration shows the correlation between brain development and learning abilities. Let us assume that for the number of years students have been doing only one type of physical exercises - squats. Then in the end of their schooling they can make squats many times without any difficulties. All the muscles involved in making squats will be developed. However, all other muscles, which have not been involved in the exercise, would be underdeveloped or not developed at all. Students simply would not be able to do other lids of exercises. A brain – as a “muscle, or a collection of muscles” - works in the similar way. 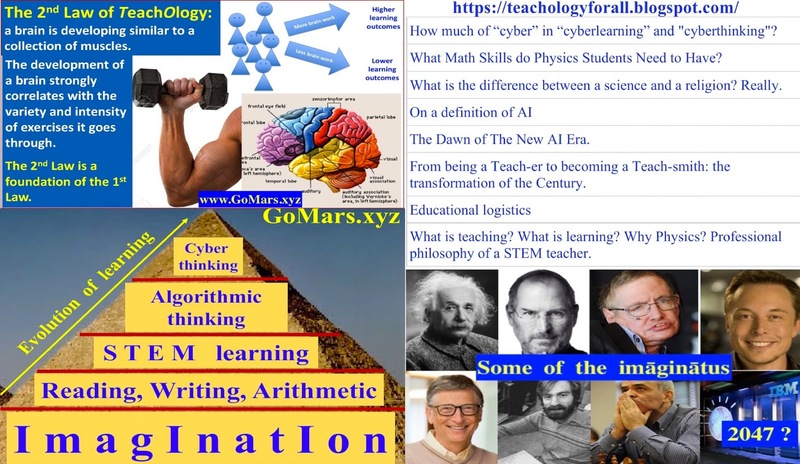 If for years the majority of lessons were based on memorizing and reproduction, other kinds of intellectual activities would be difficult for students to produce (this example was originally posted in “Laws of TeachOlogy” at www.GoMars.xyz/6LT.html). The picture in the top left corner illustrates this law (other pictures are related to the discussion about the evolution of knowledge). It is obvious that there is a strong connection between a structure of a brain and the intelligence level of a person. Any school subject is usually considered as a “knowledge-building” tool, but also can (and should) be seen as a “brain-building” tool. We all know very well that brain activities manifest themselves via human behavior. Now we also know that human activities affect the structure of a brain (due to the phenomenon called neuroplasticity). The concrete structure of the relationship between a brain and human activities currently is not very well know. 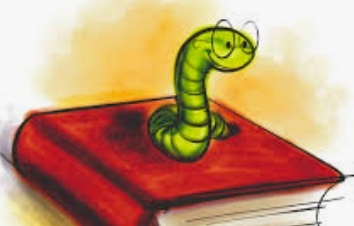 But a teacher does not need to know that concrete relationship, because a teacher does not need to base his or her practice on the particular knowledge about a particular brain. So, why do we see so many papers which are trying to excite teachers about the science of brain? I leave the answer to this question to others (there are many, e.g. to excite teachers about using their subjects as a brain-building tool). My job as a consultant is to equip teachers with concrete tools they can use in their everyday practice. 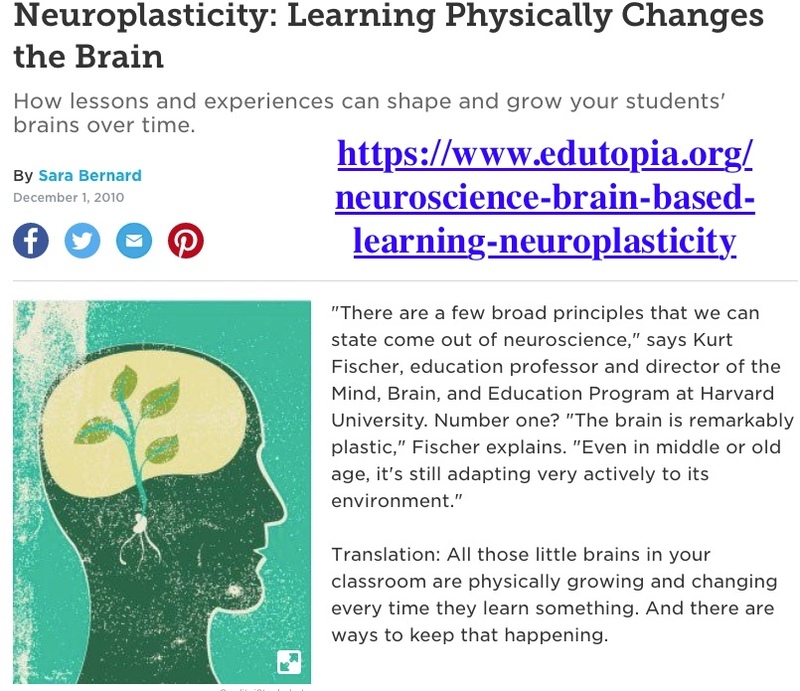 That is why I advise: when reading something like “Six Tips for Brain-Based Learning”, keep in mind that the parts about a brain are interesting but not really important, however the practical tips on teaching may be useful (but usually not very unusual). One might ask, if the tips are not based on our knowledge of how a brain functions, how can we trust the tips? Maybe a decade or two from now a brain-based learning will become relevant to teaching practice, but nowadays it is just a myth (i.e. something we might dream about).